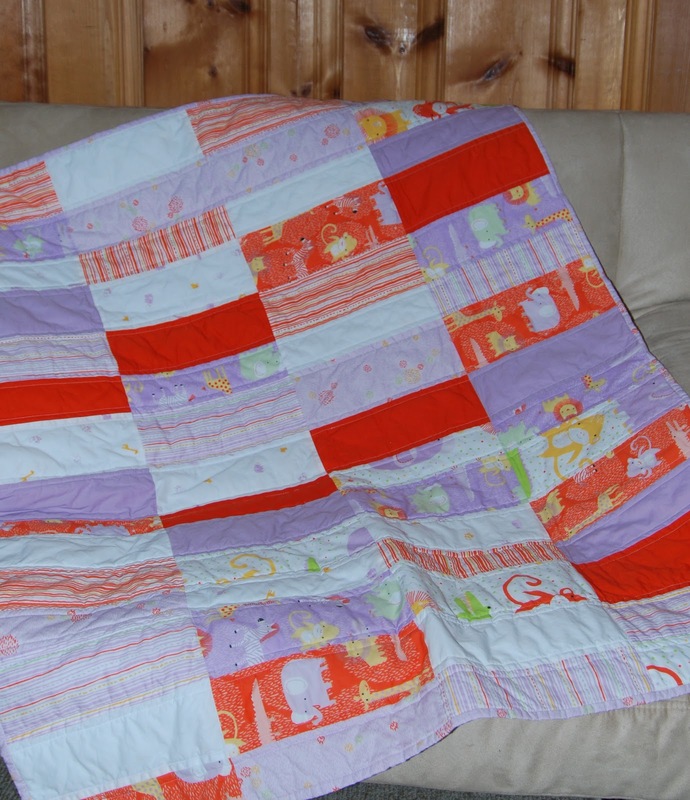 Just thought I would share pics of the quilted and bound Apple Cobbler baby quilt. It was sent off to PA on Monday to meet baby Hensley. I did simple straight line machine quilting on my machine, and I'm really pleased with the finished look. Again, I used organic fabric, which was a bit stiff, but washed up to make a nice wrinkled look.